When someone drives, operates or is in physical control of a vehicle while impaired by alcohol or drugs (whether prescription or illegal) they are Driving Under the Influence (DUI). In Delaware, a BAC of .05% is required for a conviction, although police may arrest a driver at .08%. It’s important to understand implied consent. This law states that driving in Delaware voluntarily grants consent to sobriety tests such as a breathalyzer. Also, refusing a chemical test will cause your license to be revoked for 12, 18, or 24 months depending on if this is your first, second, or third offense. Learn What to Do if You are Pulled Over for a DUI in Delaware. Given the consequences of a DUI conviction, you should never plead guilty to drunk driving charges without talking to an experienced defense attorney. Get the best DUI Defense attorney in Delaware, call Ron Phillips today. All the below information is on top of your trial, so you definitely need a good lawyer to defend yourself from these charges. DUI penalties increase with each offense. First DUI Offense: 0-6 months prison, $500-$1,500 fine, license suspended 12-24 months. Second DUI Offense: 2-18 months prison, $750-$2,500 fine, license suspended 24-30 months. Third DUI Offense: 1-2 years prison, $1,500-$5,000 fine, license suspended 24-36 months. Fourth DUI Offense: 2-5 years prison, $3,000-$7,000 fine, license suspended 60 months. Fifth DUI Offense: 3-5 years prison, $3,500-$10,000 fine, license suspended 60 months, class E felony. Sixth DUI Offense: 5-8 years prison, $5,000-$10,000 fine, license suspended 60 months, class D felony. Seventh DUI Offense: 10-15 years prison, $10,000-$15,000 fine, license suspended 60 months, class C felony. Learn more about the consequences of a DUI in Delaware. What if I am charged with DUI in Delaware? The Evidence: Can the state prove you were in control of the vehicle and can the state prove you were under the influence at the time? Probable Cause: Did the arresting police officer have a valid reason to pull you over? Refusal of Sobriety Test: Did you refuse to take a chemical test such as a breathalyzer? If you do not request this hearing or if the hearing does not go in your favor, you will lose your driving privileges for 3, 12, or 18 months depending on if this is your third, second, or third offense. This is in addition to any penalties for refusing the sobriety test and for the DUI itself. All DUI sentences will remain on your driving records for five years. 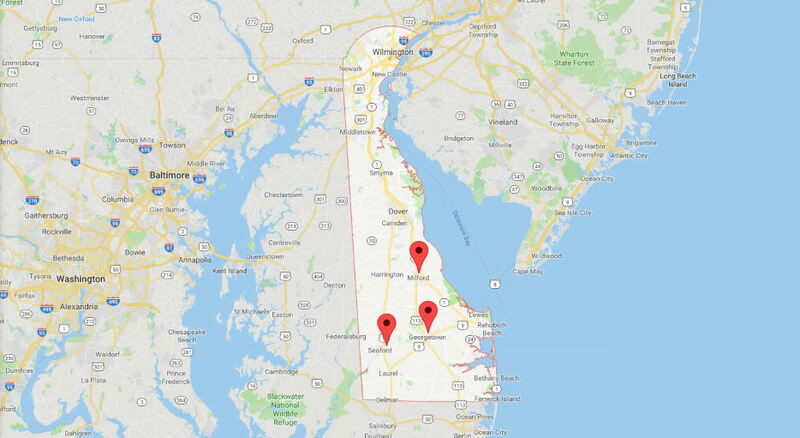 No matter where you live in Delaware, everyone from Wilmington to Bethany Beach who are arrested for DUI in Delaware needs to schedule an evaluation with the Delaware Evaluation and Referral Program (DERP). Education Program: Personal responsibility, taking ownership of the situation you are in, and learning what it will take to turn things around for you. Mental Health Program: For those coping with mental and emotional disturbances that could lead to future DUIs. Outpatient Treatment (Adult): 25 hours of counseling over three months designed to stop the advancement of an individual’s substance abuse problem. Outpatient Treatment (Minor): Family members will be encouraged to take place in this treatment. The offense is your first DUI. The offense must not have injured another person. You were not transporting anyone under 18 years of age at the time of the offense. Your BAC was .14% or lower. You do not have more than two moving violations in the past two years. Your license was valid at the time of the offense. The IID prevents a vehicle from starting unless the driver blows into it and is verified under the BAC threshold. Participation in this program is mandatory for DUI offenders as of February 2015. The IID must be installed in vehicles registered to you and vehicles that you have access to. Lastly, the IID program does not start until after your license has been reinstated. The offender will go through the Delaware Evaluation and Referral Program’s process normally. Once you finish, the program will forward the information to the arresting state. However, your Delaware license can and will be revoked for DUIs committed in other states. The offender will contact the Delaware Evaluation and Referral Program to set up an evaluation in the offender’s home state. That program must also satisfy Delaware’s requirements. One drink makes it illegal for minors to drive in Delaware. Minors with a valid license will have it revoked longer than adults would. Minors without a license pay additional fines. While traffic offenses may not seem like a big deal, you may need a lawyer to protect you from outrageous charges and fines. If you plan to challenge a traffic offense in Delaware, contact an expert Criminal Defense Lawyer to ensure that you avoid excessive fines or points on your license. A DUI conviction is more than just a traffic ticket in Delaware. It has serious long-term consequences. A DUI arrest can impact your life on several levels such as personal, financial and professional. You will face fines, court costs, loss of driving privileges and attorneys fees. If you cannot drive to work you may risk losing your job and source of income. Also, depending on your criminal history and or prior DUI convictions you may face jail time. By working with our Delaware Drunk Driving lawyers, we assure you that we will protect your rights throughout the entire legal process. In addition, having an attorney on your side will ideally help your case by achieving the best possible outcome. Delaware DUI Defense Lawyers Ronald D. Phillips Jr. and Julianne E. Murray have a wealth of experience handling all types of DUI charges, traffic violations and criminal cases throughout Sussex County and Kent County. 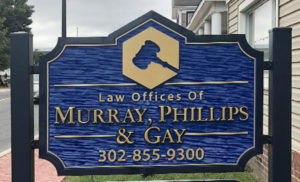 Call the Law Offices of Murray, Phillips & Gay for everything from a traffic ticket to a complex DUI arrest. If you, a family member or loved one have been charged with drunk driving in Delaware, please call the Law Offices of Murray, Phillips & Gay at 302-855-9300. 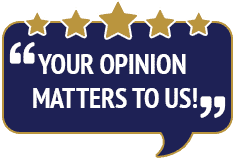 With his many years of experience, Mr. Phillips will do everything necessary to effectively protect your rights, your driving privileges and obtain the most favorable outcome possible. 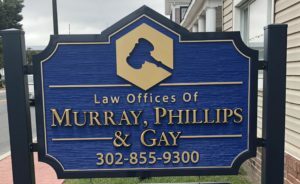 The Law Offices of Murray, Phillips & Gay serves everyone in Delaware and those arrested in Delaware. We can help with your Delaware DUI Defense and all Delaware traffic offenses. 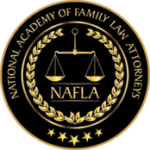 Call for a free consultation on your case at 302-855-9300.